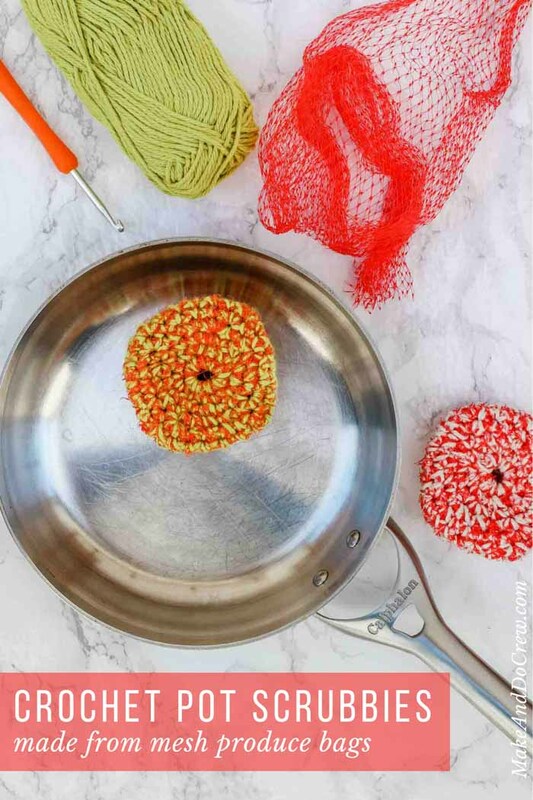 Keep your dishes clean and mesh produce bags out of the landfill at the same time with this simple crochet pot scrubber pattern! 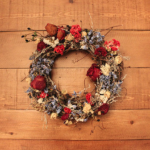 Perfect Earth Day craft idea you can use year round. 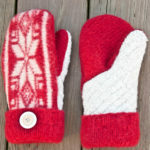 Get the free pattern and tutorial below. This free crochet pot scrubbies pattern is part of a collaboration with Lion Brand Yarn. This post contains affiliate links. As a kid, I had quite the bleeding environmental heart. I would spend nights staying awake worrying about rain forest clear cutting and the amount of smog that might be lingering over my small mountain town. Now as an adult, I really love finding ways to reuse and recycle items we’d otherwise throw away–like the mesh bags that produce comes in at the grocery store! 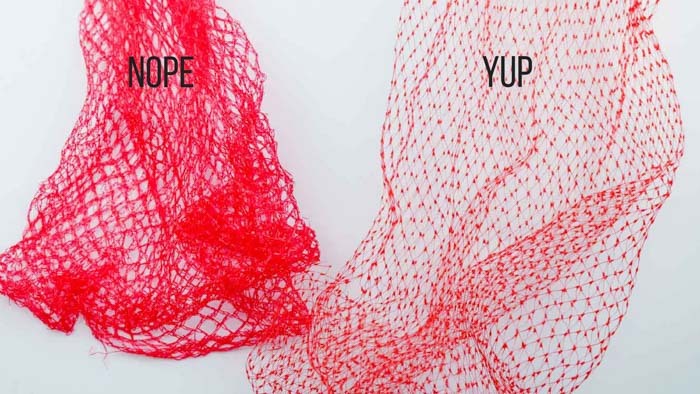 If you’re a thrifty crocheter like me, you’ve probably noticed some patterns around the internet that use nylon fabric (like tulle) to crochet pot scrubbies. I’ve always loved this inventive idea, but a couple of years ago I started to wonder if it would be possible to replicate the same pot-scouring effect with something I had laying around. I’ve saved almost every bag from all the oranges, grapefruits and lemons we’ve bought in the last couple of years with hopes that someday I’d be able to figure out a way to crochet with them. After lots of experimenting, I kept getting stuck at how to cut the mesh so that it was actually crochet-able. I had nearly written the whole idea off when I recently mentioned it to my mom. She came up with a simple way of cutting the bags in a spiral that totally solved the road block I had hit. Creative momma for the win! Even with my mom’s way of cutting the nylon bags, the mesh alone is a bit too finicky to crochet with. 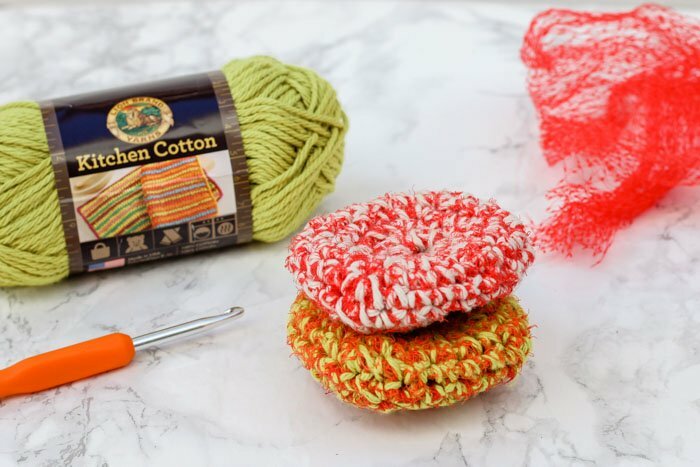 Adding a single strand of Lion Brand Kitchen Cotton though gives the crochet pot scrubbies the structure they need and helps the mesh behave much better for crocheting. I love that these little scrubbers are like a cotton crochet washcloth, with with an extra cleaning omph. Scroll down for the free crochet pot scrubbers pattern and tutorial! 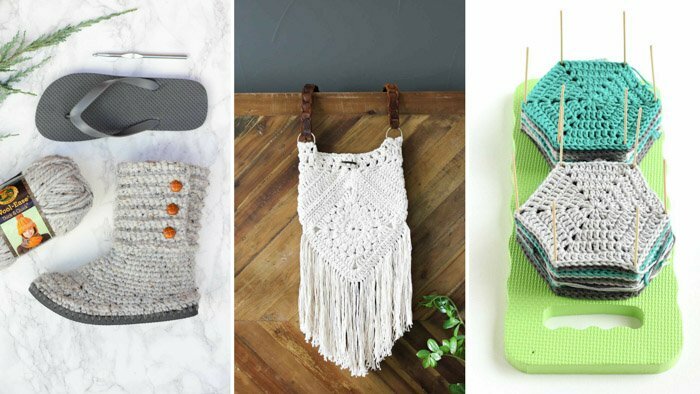 I’ve shared lots of upcycled craft ideas on the blog over the years, but a few of my favorites include using an old leather belt as a crochet basket strap, felting a wool sweater to sew into mittens, or turning a thrifted leather jacket into soles for crochet slippers. Pin this tutorial for later here. Save this pattern to your Ravelry queue or favorites here. 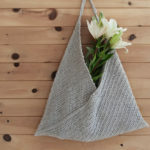 Keep produce bags out of landfills and your dishes clean at the same time with this simple crochet pot scrubber pattern. Made with a very basic series of increases and decreases, these scrubbies work up very quickly and are perfect for environmentally conscious crocheters who want to try a new material. Grab some cotton yarn and a bag of oranges and you’ll be happily scrubbing pots in no time. Not critical. More importantly, find a hook size that allows you to work with the material comfortably enough. Size up if you’re having trouble. • Unlike many other crochet projects, this one is all about function over form. 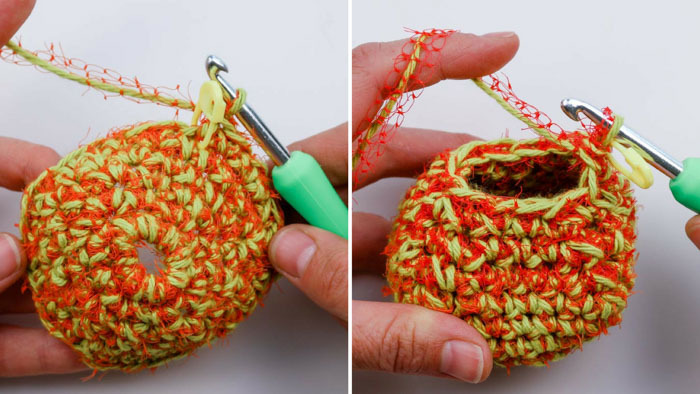 Don’t worry about perfect stitches, but instead have fun with a new crochet experiment. 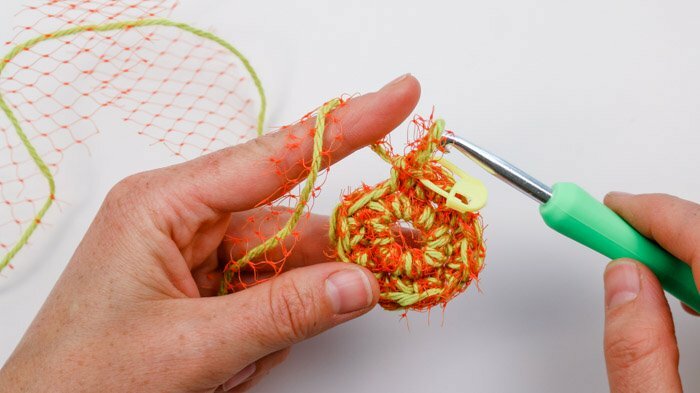 If you’re having trouble crocheting with the mesh, try using your fingers to smooth it into a thinner strand before crocheting with it or increase your hook size to create larger stitches. • One strand of yarn and one strand of mesh are held together throughout pattern. • Scrubbies are worked in the round, in a spiral, so you won’t be doing a ch 1 at the beginning of each round. Place a stitch marker in the last st of each round and move it as you finish a round. • You’ll want to use the type of produce bags many citrus fruits come in because they don’t fall apart when cut. See photo below for example of what to use. You can make one pot scrubber with two of the larger sized bags. 1. Cut off label so you have a long mesh tube. 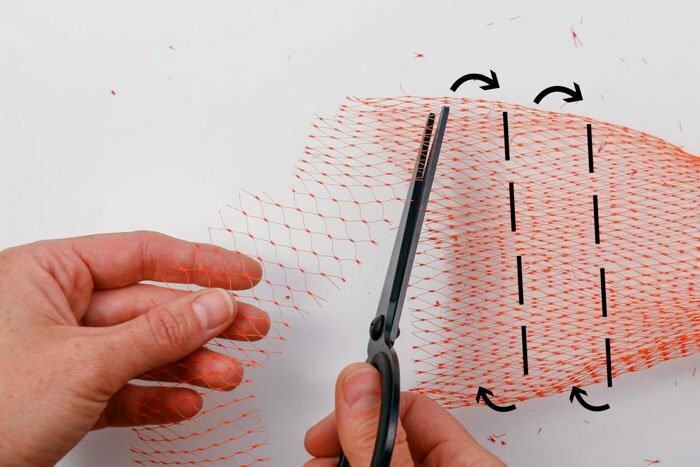 Beginning at the bottom of the bag, cut around the tube in a spiral to create one long continuous strand of mesh. The strand should be about 1.5” wide and no wider than 2”. Repeat with a second mesh bag. Foundation Round: Ch 4, sl st to join into a ring. Do not fasten off. Continue to dec side. Optional: Use a sl st from one side of small circle opening to the other to close it up a bit. Fasten off. Use hook to weave in ends a few times and then tuck them into center of scrubbie. 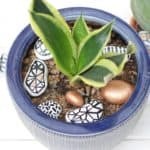 Potted Plant Accents: Hand Painted Rocks! « Modern Crochet Granny Stitch Blanket – Free Pattern! The scrubby just worries me. I can imagine all those small plastic bits becoming detached and ending up in the environment. I’m trying to think of something else I can use. Yes, I have wondered about that once making it as well. I’d love to hear your ideas if you come up with any alternative materials! Your worry of what happens to the entire plastic mesh bag, if it was not recycled into a scrubby? OMG!! I love this idea! As a scientist and crochet nut I love to recycle things and turn them into crochet projects! I do a lot of plarn and things with glass for them but I never thought of this! This is great! Although my husband is probably going to rI’ll him eyes at one more thing I start to collect and fill up the cabinets with! I love that you apply your science perspective to crochet. That’s so cool! What a fabulous idea. 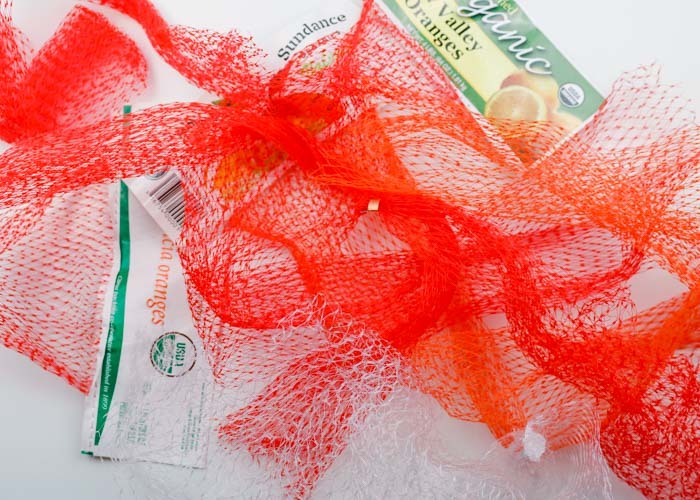 I’ve been holding off buying the scrubby yarn because it’s so expensive – but I have 2 of the plastic net bags in my fridge right now that I’m going to try. Thanks you and your mom for brainstorming. This is such a cool idea! i never would have thought of using mesh bags for scrubbies. Thanks for sharing such an inventive pattern. Cool! I will have to try these at some point. I have a bunch of nylon mesh to use up first, however. I also do a lot of crocheting with plarn from plastic grocery sacks, trash bags and plastic tablecloths. I use leftover yarn and create “bag-skets” that look like those African baskets people buy at fairs and outdoor markets. I also make purses and other items from the plarn. It’s really fun and people love to buy them from me. I use the money to give to charity. We also eat a lot of nuts and so I save the large plastic containers along with all my glass jars and lids. I wash them in the top of the dishwasher, get rid of the labels and crochet covers for them. They make great gifts for teachers and friends. The larger ones are useful for “gratitude jars” in which people place slips of paper with each day’s thanks. Then, the papers are read at the end of the year. That’s is an awesome idea, I always be recycle the mesh bags, now I’m going have to start saving them! Thank,you for sharing! I love this so much! Can’t wait to make this. Go momma! I like it!What a brilliant idea.Thanks for sharing.I think I will try to make it with my two granddaughters which are learning to crochet. Oh fun! I love that you’re teaching them how to crochet! I just made one of these, I’m really excited to see how well it works. One thing I didn’t have, though, was the correct plastic thingy – all of mine were from potatoes and such and had the chained mesh instead of the knotted mesh. I did have a lot of flyaways when I cut it up, but it held while I was crocheting it together, but I had to use six of them, they’re all so small! Thanks for the pattern, if this works out then I have a good stocking stuffer for this Christmas. I just wanted to update on the scrubbie – it works beautifully and while there is some frizz, all it does is just help get rid of the food stuck on the pots and pans… and sometimes plates as well. I love it, it makes things much easier in cleaning up the kitchen. Great to hear Jane! Thanks for sharing. Hello Jess, I also make the scrubbies from tulle, but like your idea of using the net from the popsicles. So I used it with the tulle to make it more scrubby. It works great. I wanted to include the photo, but didn’t see how to attach it. Thank you so much for the upcycle idea. So wonderful to read all the other comments from makers that upcycle too.